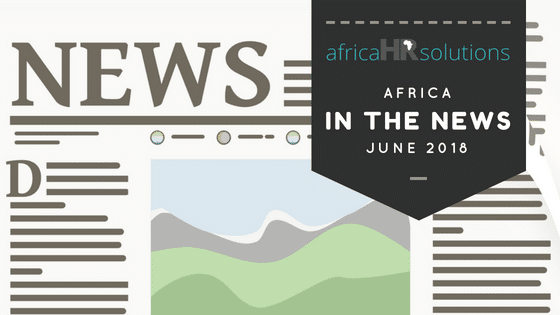 Every month, Africa HR Solutions summarizes the latest high-impact news for you. We aim to provide you with accurate and non biased news from the African continent. This month, we take a look at Electricity, Mining and Social Media in Africa. Togo has an access rate to electricity of only 28%. Even so, those 28% struggle with low voltage, both in rural and urban areas. On the other hand, around 40% of West African countries have access to electricity, and Togo currently relies on Ghana to supply part of its power. Recently, the government of Togo has embarked on a highly ambitious project to produce and provide electricity to 50% of the country’s 7.5 million population, by 2020. The long-term objective is to reach 75% by 2025 and be able to provide national access by 2030. The latest Togolese action plan involves partnering with private investors to build 300 small solar plants, which would reach communities where electric grids cannot. In a recent study, the World Bank estimated that sub-Sahara Africa will require $50 billion of investment, every year, to achieve this objective. Africa is home to 99% of the world’s remaining chrome, 85% of its platinum, 70% of its tantalite and 54% of its gold. Mineral-blessed African countries benefit from a healthy GDP boost thanks to mining. The Democratic Republic of Congo has recently revised the mining code from 2002 to bank on this ever-profitable industry. After taking a dip in 2015, the mining sector has been seen a boom in recent years. Changing consumer trends have caused the price of some commodities to skyrocket; for example, with more automobile manufacturers turning to electric cars, the price of cobalt has drastically increased. Cobalt is used in the production of batteries, and it is quickly becoming one of the most sought-after metals. Many countries are currently re-evaluating their position towards the mining industry. Rising commodity prices and greater market demand for base metals have increased the profit of the mining sector. Many African governments are now looking for a higher percentage of returns, while keeping investors satisfied. As of the 1st July 2018, a social media tax is now in effect for several social platforms. Those who must pay the new tax will find services such as Facebook, Twitter, WhatsApp, etc…, to be inaccessible. The World Bank reports that currently only 22% of Uganda has access to the internet. Back in 2016, telecom operators in African had already blocked the internet during the elections, pointing to security issues. This time, the government looks to curb online gossip, while raking in millions of shillings for the country’s economy. With the new social media tax, users will be charged 200 shillings (~ $0.053) per day. This amounts to around $19 per year. The government however promised to exempt those using it for educational purposes. Need help employing on the African continent? Contact us for an obligation free quote about your business needs in Africa!